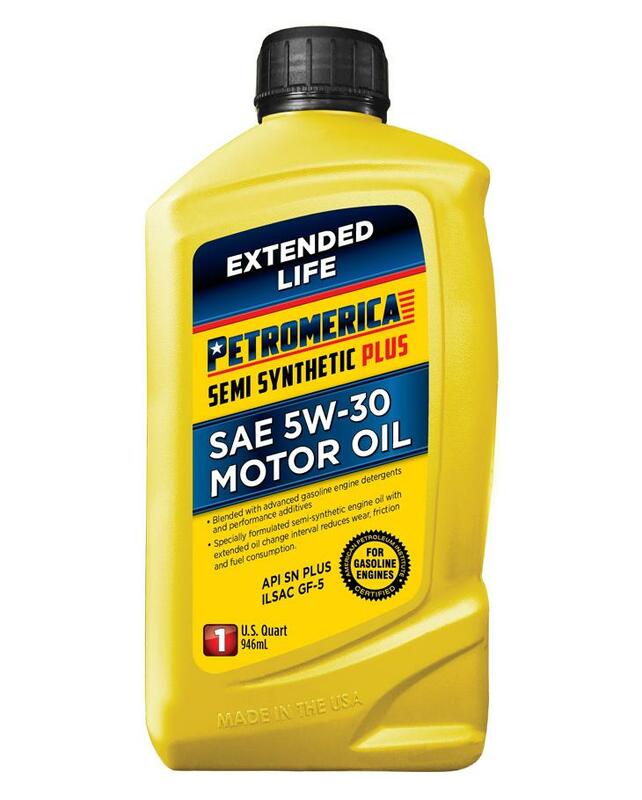 Petromerica Full Synthetic ULTRA SAE 0W-16 Motor Oil is designed to meet the requirements of Hybrid Electric Vehicles (H.E.V) and Plug-in Hybrid Electric Vehicles (P.H.E.V) fitted with recent gasoline engines. 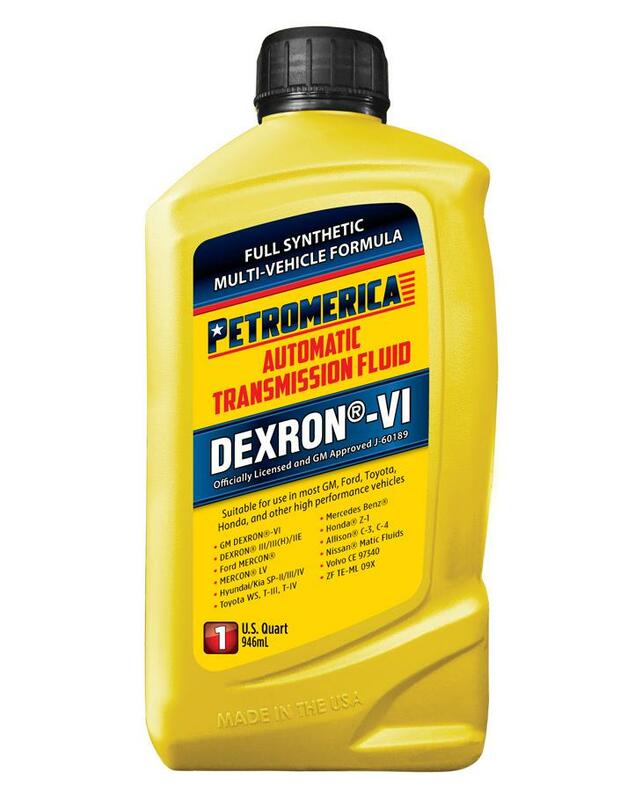 It reduces friction and wear at start-up and protects your engine against performance robbing sludge and varnish deposits. 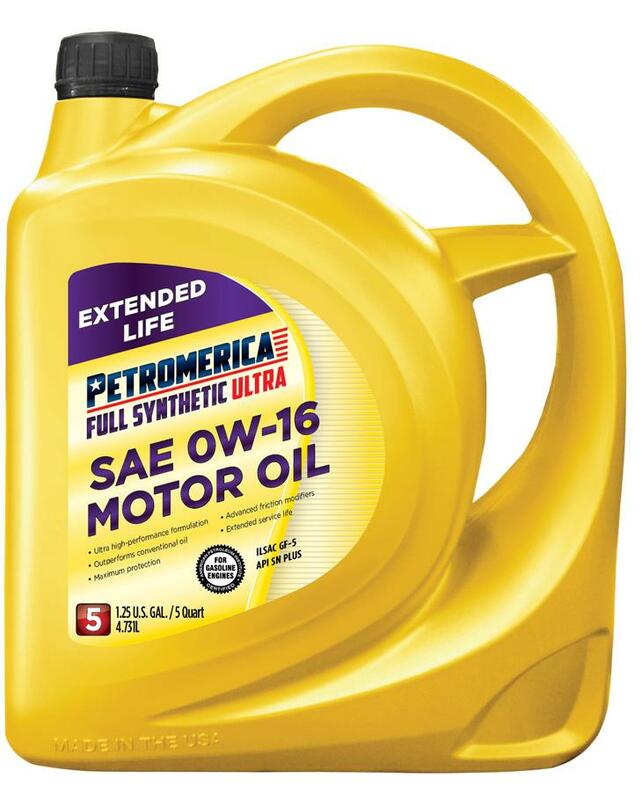 Petromerica Full Synthetic ULTRA SAE 0W-16 Motor Oil is designed to meet the requirements of Hybrid Electric Vehicles (H.E.V) and Plug-in Hybrid Electric Vehicles (P.H.E.V) fitted with recent gasoline engines. It reduces friction and wear at start-up and protects your engine against performance robbing sludge and varnish deposits. 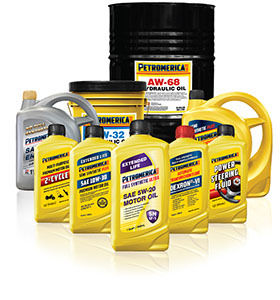 Petromerica Full Synthetic ULTRA SAE 0W-16 Motor Oil is recommended for modern engines, including supercharged, turbo-charged, direct injection, and many Eco friendly and hybrid passenger car, truck, and sport utility vehicle engines where a full synthetic low viscosity category SAE 0W-16, 0W-20 or 5W-20 motor oil is recommended. 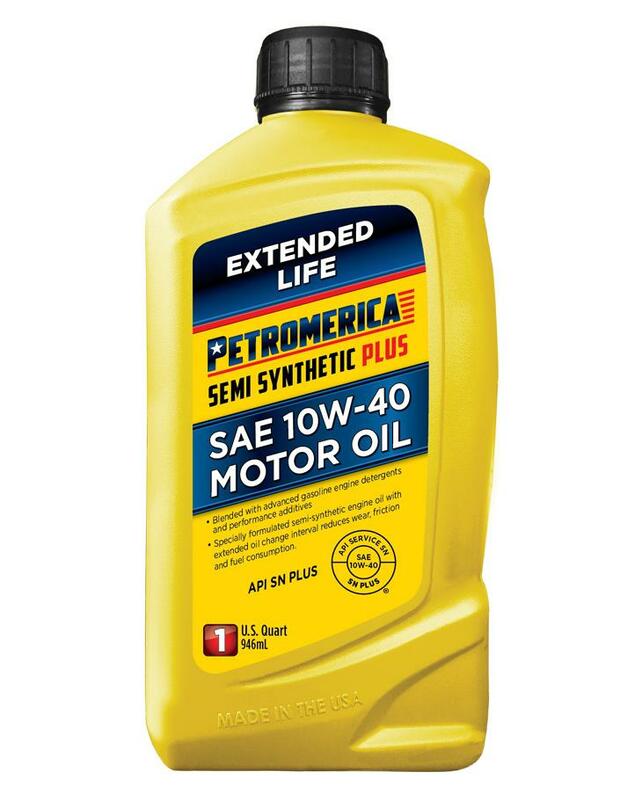 Petromerica Full Synthetic ULTRA SAE 0W-16 Motor Oil is recommended for modern engines, including supercharged, turbo-charged, direct injection, and many Eco friendly and hybrid passenger car, truck, and sport utility vehicle engines where a full synthetic low viscosity category SAE 0W-16, 0W-20 or 5W-20 motor oil is recommended. 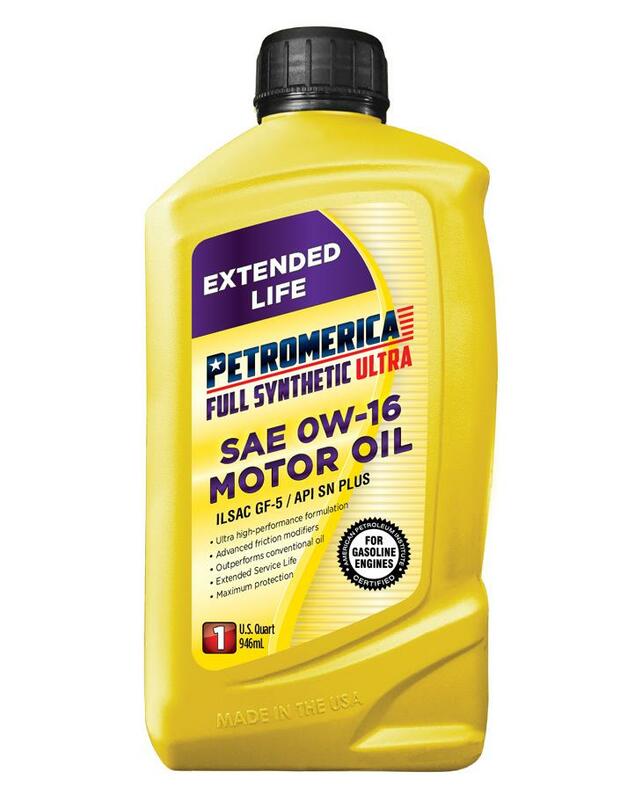 Petromerica Full Synthetic ULTRA SAE 0W-16 Motor Oil meets or exceeds ILSAC GF-5 and American Petroleum Institute (API) Resource Conserving SN PLUS service classifications and is compatible with all prior API categories. 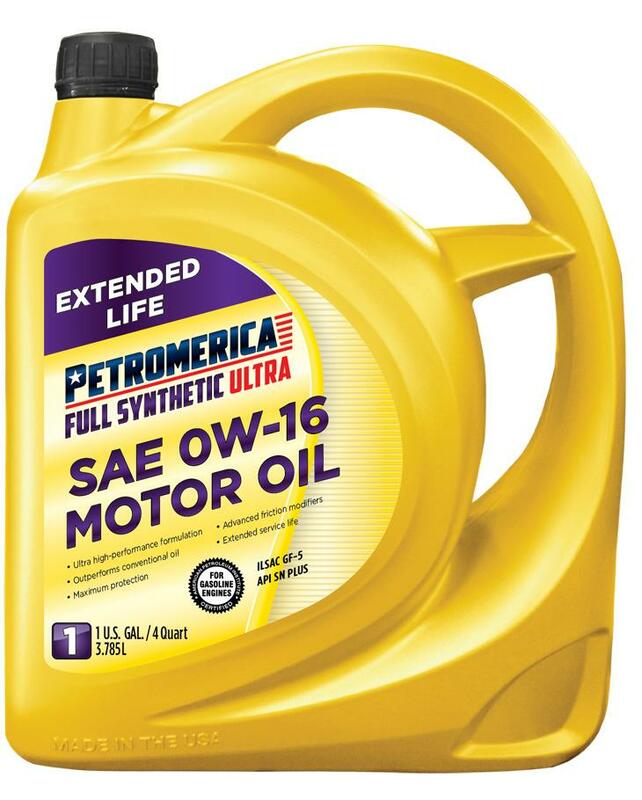 Petromerica Full Synthetic ULTRA SAE 0W-16 has been field tested to be comparable to most American, Asian and European manufacturers’ standards including Toyota Prius, Honda Civic, Lexus ES3000h, Nissan, Mitsubishi, and many other OEM’s hybrid specifications. This type of oil may be unsuitable for use in some engines. Always check your owner’s manual for proper service recommendations.